When a 911 dispatcher contacts ShandsCair’s Alison O’Connor, E.M.T. and A.C.S., she begins working immediately. 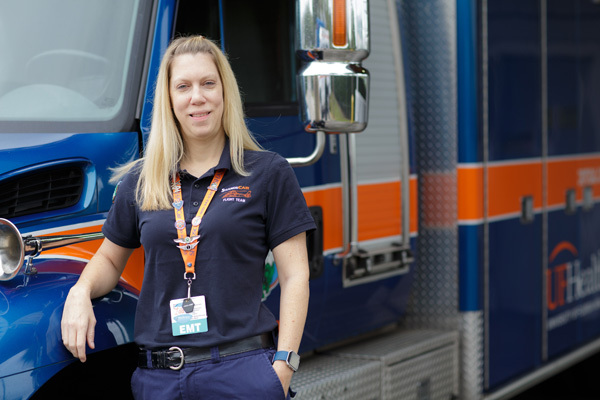 As a ShandsCair dispatcher, one of O’Connor’s many jobs is finding the closest aircraft and most appropriate team to send to those in need of emergency medical assistance, and she knows she has no time to waste. “It’s a split-second decision you have to make,” she said. O’Connor, who has been a communication/transportation specialist for 13 years, fields calls all day concerning people across the country who need to be transported to a hospital or emergency room, and soon. O’Connor’s tasks include responding to and coordinating interfacility transports, ambulance or flight requests and trauma alerts while also ensuring the medical specialists who arrive at the scene are the ones who are most qualified to help that particular patient. So if O’Connor receives a call about a child who has been in an accident, she does her best to make sure someone who specializes in children, such as a pediatric nurse, is on that helicopter. Though a computer system tells O’Connor where the closest aircraft are and how long it will take them to arrive at their destinations, she and two other dispatchers work together to make instantaneous decisions about who to send where, when and how. O’Connor and her team also refer calls to transient aircraft if they are closer to the patient in need or if ShandsCair’s aircraft are all being used at the time. While ShandsCair flight teams are in the air, O’Connor tracks and communicates with them to make sure they aren’t in the same air space as other aircraft – sometimes monitoring up to five helicopters at a time. "It’s our job to not only know where they all are but also to make sure they know where they all are." But O’Connor’s responsibilities don’t stop there, as ShandsCair’s dispatchers are also licensed emergency medical technicians, some being former firefighters. While at work, O’Connor spends about 75 percent of her time in dispatch and 25 percent of her time on ambulances taking care of patients. Though every day is different, O’Connor said doing both jobs allows her to better understand the ins and outs of the system. 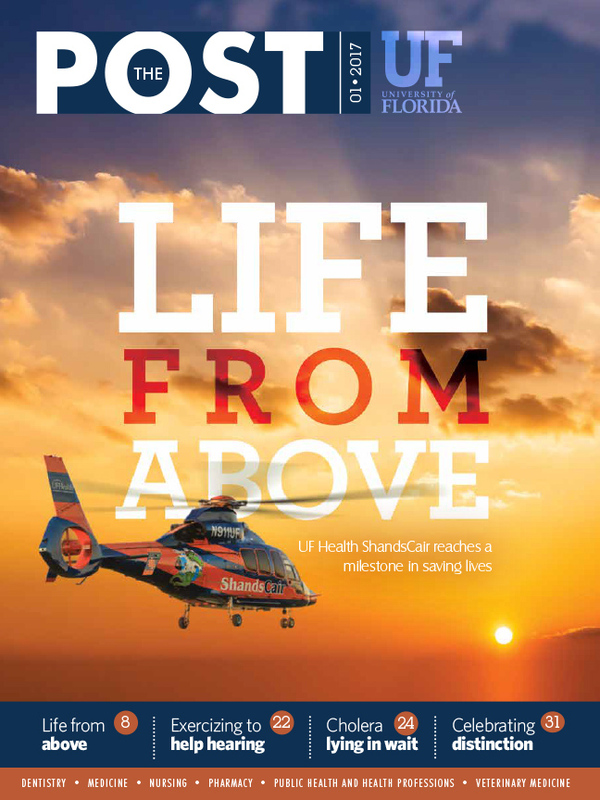 Whether she’s on the phone or on an ambulance, O’Connor said her main goal stays the same: Get the patient to UF Health Shands Hospital as soon as possible.